A common and easy to identify family of mushrooms is the Boletus family. This is a large genus of mushrooms which is actually split into a few smaller families, the main three being Boletus, Leccinum and Suillus. With very few exceptions, boletes are mycorrhizal fungi, which means that they build a mutually beneficial relationship (symbiosis) with the nearby trees and shrubs. Therefore, the usual places where we see them in abundance are in woodlands but they can also be spotted in urban ecosystems wherever ectomycorrhizal trees are present. There are a multitude of bolete species and identifying them can range from being quite easy to extremely difficult. In order to properly identify boletes it is best to actually have boletes (both young and mature specimens) in addition to photographs. You will need to have a spore print as well which is done quite easily and they make for great artwork. (Click here to learn how to make a spore print.) It’s also important to accept that learning how to identify boletes (and other mushrooms) can be a life-long process. The bolete’s stem is often a good starting place for identification. Examine the stem to see if there are scabers, glandular dots, or reticulation; and be sure to note the colour of the basal mycelium. Other features to closely observe include the cap surface, the pore surface and tubes, the presence or absence of a veil, and the flesh. Many boletes have surfaces and/or flesh that discolour blue (or another colour) when touched, bruised or sliced. Far too many people are not willing to take the time to properly learn how to identify a bolete (or other fungi) as all they are interested in is whether or not it is edible. As we are all aware, many species of mushrooms cause serious harm to our body, including death; this makes taking the time to properly identify boletes and other fungi extremely important. 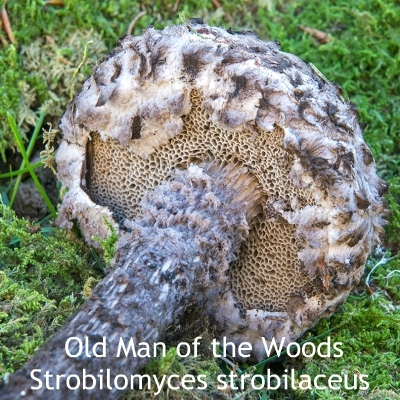 Strobilomyces are recognized by its black, shaggy cap and stalk and grey pore surface. Leccinums are recognized by the dark-dotted stalks. Dots are mostly black or dark brown but on occasion can be paler. The tubes are never yellow. Boletus and Suillus: In general if a bolete you find has a ring and/or large, angular radial pores then chances are it is a Suillus. A Suillus is usually slimy whereas most other boletes are dry or, at best, slippery when wet and have small pores. For more in depth information about bolete genus identification please visit Guelph University. Is an Edible Bolete Safe for You? There are well over 200 boletes worldwide and the good news is that many are edible. Keep in mind that just because a particular bolete, mushroom, plant, berry, etc., is scientifically-deemed safe for consumption doesn’t means that it will be safe for YOU specifically. If you have allergies, an undiagnosed medical issue, digestion issues, are using prescribed or over-the-counter medications, or have any health issue, your body may object to what you eat (and this includes food purchased in a grocery store as well). The rule of thumb when trying something new in your diet is to eat a very small amount the first time to see if your body has any reaction. In the case of edible fungi – always cook them first! Most important, even if you truly believe you are 100 percent accurate in identifying an edible bolete or other mushroom, ALWAYS keep one in the fridge in the event you are wrong and end up in hospital. Having that sample with you will help the emergency medical team to treat you. There are two important rules that exist when it comes to identifying edible boletes that should keep you safe. Is there any red colouring on the stem, pores or cap? This can be the sign of a toxic bolete. Stay away from anything with red colouring (even if only a tiny amount). Slice the bolete in half vertically, if the flesh turns blue either immediately after cutting or within a short period of time afterwards then stay away from it. The pores on a few edible boletes can discolour to green or blue but the flesh rapidly changing colour is a sign to stay away. One of the difficulties about using boletes for food is that it is hard to find them free from insect larvae. They tend to become infested as they mature so the button stages are more desirable. Many people also claim than many boletes are not good tasting and not worth gathering. However, this is an individual choice. 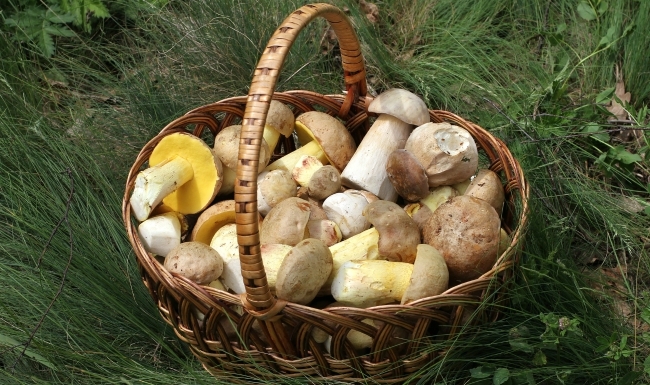 Two great resources on edible boletes that are well-worth taking the time to read include: Identifying Boletus Mushrooms and How to Eat a Bolete . Bolete identification can be fun and it is the easiest mushroom family to get to know. (Old Man of the Woods is perhaps the easiest to spot.) No matter how simple it may seem, never let your guard down and always cross reference with minimum three credible sources. I haven’t studied these types of mushrooms although I wouldn’t doubt many have medicinal values!